We are very pleased to announce that Patrick Moore has joined the Rescue 42 Sales Team as our East Coast Business Development Manager. Patrick's extensive experience as a sales manager and extrication instructor will allow Rescue 42 to be more responsive and better serve our customers on the East Coast. Where did you hear about Rescue 42? 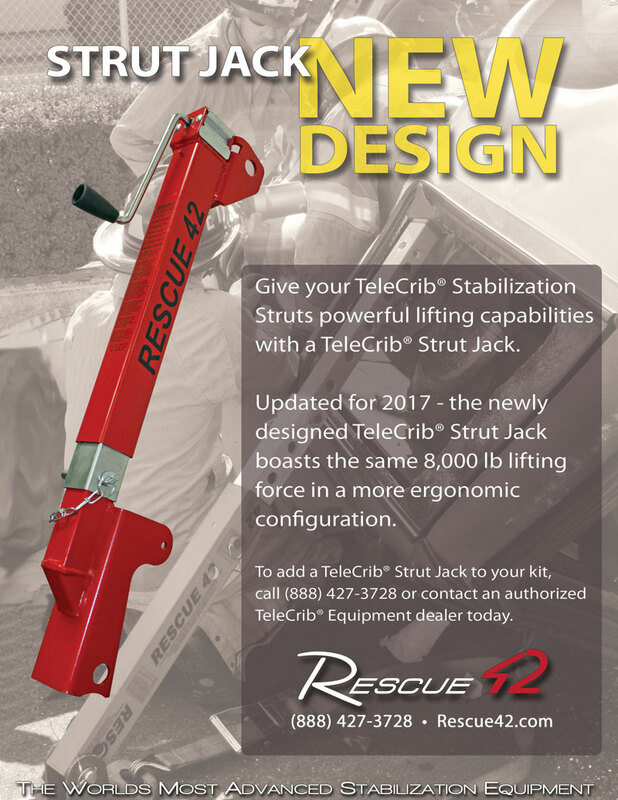 Our TeleCrib® Composite Struts enable Fire-Rescue crews worldwide to stabilize, extricate and rescue accident victims more safely. We also manufacture The Shark™ Collapsible Step Cribbing, The Ripper™ Laminated Glass Cutter, The O-Plate™ and the Jackmate™ lift jack tool.